What is PAT Testing? Read our free guide to find out. What tools are required for PAT testing? Electrical appliances need to pass a series of safety tests in order to be deemed usable by the appropriate regulators. The Electricity at Work Regulations Act of 1989 requires equipment that can potentially cause injury to be maintained safely. One of these tests, specifically concentrating on hand-held and transportable items, is known as portable appliance testing (PAT). The process – used by regulators in the UK, Ireland, New Zealand and Australia – should be completed on a regular basis to provide safety for both residential and professional users. 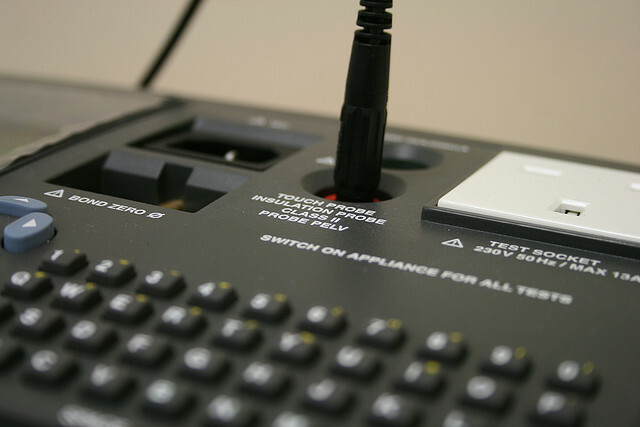 A portable appliance is classified as a piece of equipment that can be disconnected from the mains power supply and transported by hand without strenuous effort. Movable electrical items that weigh 18kg or less are generally deemed to be portable appliances. Common examples include toasters, kettles, desk lamps and vacuum cleaners. Equipment designed specifically for PAT testing has been developed in the form of relevant portable devices, compliant with the British Standard Code of Practice. However, simple visual examinations can be sufficient enough to pinpoint a certain defect. Courses can be enrolled upon that offer PAT training also. This is a vague area of PAT testing and can depend on the type of equipment in hand, along with how often it is used. For example, a toaster operated numerous times every day will require more attention than a rarely used lamp in a spare bedroom. Keeping official records of your PAT tests is not a legal requirement but is a useful method to initiate. It helps you keep up-to-date and can also help satisfy any safety inspectors who may check your operation. A labelling system is valuable and can often be seen on certain equipment in the form such notes as “tested on …” or “tested for electrical safety”. Despite its importance for continuous safety, PAT testing in itself is not an obligatory legal requirement. Employers are simply required to ensure their electrical equipment is maintained in the appropriate way to prevent accidents. PAT is just part of this whole safety process, along with additional checks. Those carrying out the PAT testing must be of a competent level to do so. Low-level testing of basic equipment in low-risk environments can be completed in-house, often by a visual examination. More complicated appliances require an experienced and trained tester, along with the correct testing equipment. PAT testing can require a variety of different tools. One of the biggest suppliers of electrical test equipment for sale or rental in the UK is MCS Test Equipment. Because of the vague legal requirements regarding PAT testing, along with the necessity to remain compliant with The 1989 Electricity at Work Regulations Act, understanding what is actually necessary for employers can be difficult. Further information on the matter can be obtained from numerous sources, important for those who work with electrical equipment. Use the internet to find the relevant information, also contacting your local authority for further advice if needed.